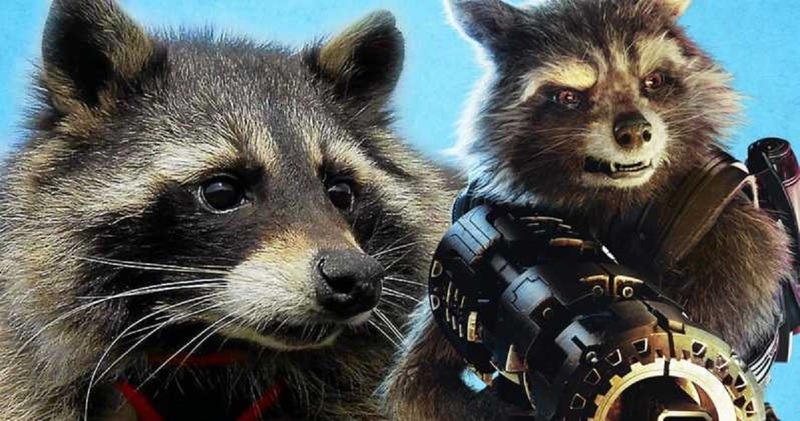 The MCU has lost one of its iconic and unsung heroes-Oreo the Raccoon, who is the real-life model for Rocket the Raccoon from Guardians of the Galaxy. “We have only the saddest news today. Our hearts are broken as we have lost our best friend, our Guardian of our Galaxy Mr Oreo Raccoon. Oreo passed away in the early hours of this morning after a very short illness. Many thanks to our wonderful vets for their compassion and care. Oreo you made so many people’s lives happy. 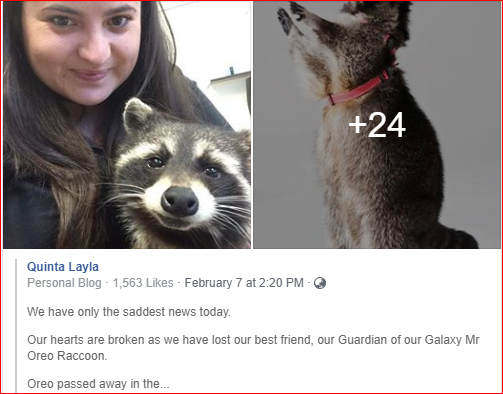 You have been an amazing ambassador for raccoons everywhere. 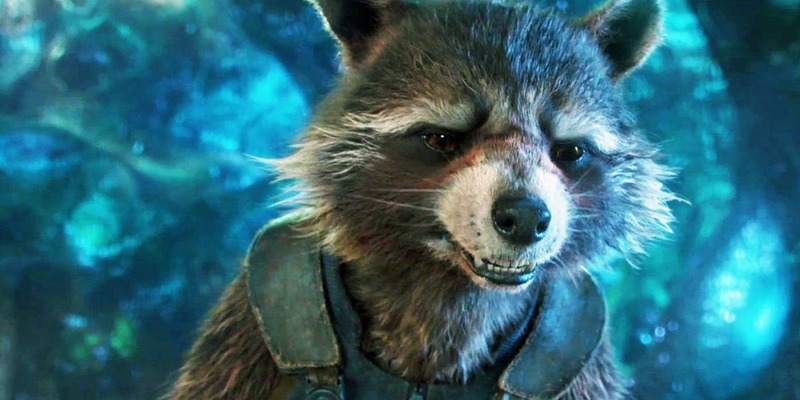 You loved all people of all ages and other animals too and were never phased by anything be it a walk down the red carpet as Rocket Raccoon, a trip to a hospice to visit a sick child or anything else that came your way. 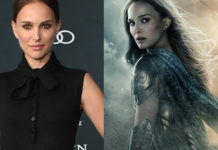 You just enjoyed everything, and it showed. You instinctively knew when to calm, when to be bouncy and we never worried that you would do the wrong thing because you never did. You were perfect. It’s 10 years since you arrived in our lives. We had that phone call whilst in the theatre in London to say you had been born but could we have you now as your mother had no milk. We whizzed back up the motorway and spent hours trying to get you and your siblings to drink from a bottle. We chose you because you were strong and took the formula first little knowing then that you would be such an inspiring animal who would make people from all over the World happy. This is so hard special little man, we wanted you to live forever but never as you have been the last few days. Have fun up there over the Rainbow Bridge my darling. I hope, no I know they will all love you as much as we do. We will miss you so, so much. Fly high Oreo, our superhero, love you lots like jelly tots. 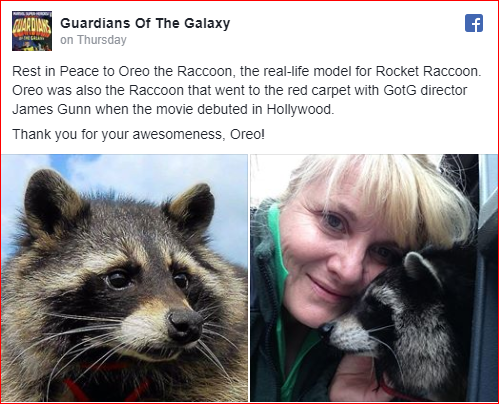 Oreo had made headlines in Hollywood when he had made an appearance on the red carpet with the director, James Gunn at the premiere of Guardians of the Galaxy. To the many fans of Guardians, Oreo had been as synonymous with Rocket as is the actor, Bradley Cooper. 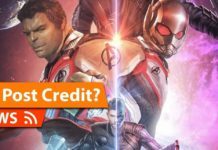 It had taken the a huge team effort to create this vision of Rocket that we have all come to know and love.